This is the classic Joint Formula of Glucosamine Sulfate and Chondroitin Sulfate. Glucosamine Sulfate is recognized as a natural aid for proper joint health. 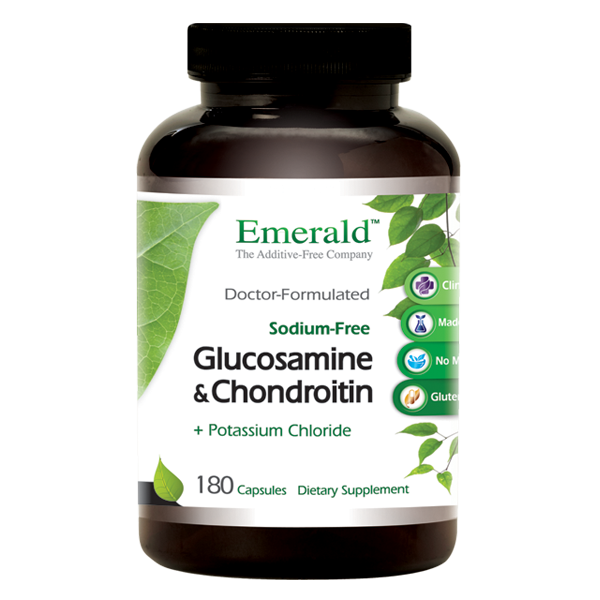 Glucosamine and Chondroitin Sulfate has been shown through many clinical studies to actually aid in the repair of joints and decrease associated pain by helping to rebuild cartilage, ligaments, and tendons around the joint. Glucosamine is a natural substance found abundantly in the human body, and plays a primary role in producing key components that regenerate and maintain cartilage. Cartilage is continually subject to wear due to repeated subjection to forces such as high-impact sports, excess weight, injuries, and other stresses to joints. In the case of osteoarthritis, cartilage is being destroyed faster than the body can manufacture materials to repair it. Glucosamine has been shown to help rebuild cartilage at a faster rate, thus reducing the destruction of the joint itself - without surgery! WHY IS CHONDROITIN OFTEN ADDED? The chondroitin sulfate in combination supplements has not been studied as thoroughly, but it is also a component of cartilage. It is a sulfated polysaccharide and shares properties with hyaluronic acid, a joint lubricator. Like glucosamine sulfate, chondroitin sulfate has also been shown to outperform NSAIDs (non-steroidal anti-inflammatory drugs) and placebos in relieving pain associated with osteoarthritis.